Now we're talking. While the first two movies in the Harry PotterFirst released as a series of books (starting in the UK before moving worldwide), the Harry Potter series gained great acclaim before even becoming a series of successful movies. Now encompassing books, films, a prequel series, and a successful two-part play, the series even now shows no end in sight. series (Sorcerer's Stone and Chamber of Secrets) had their moments (with Chamber being the better of the two), both films lacked a certain spark. They were fine enough, but not great. With the third film, Harry Potter and the Prisoner of Azkahban, the series finally proved it could recreate the kinds of fantasy stories with visually interesting panache the book readers always envisioned. Much of the credit for the superiority of the third film is owed to director Alfonso Cuaron. It's safe to use the descriptor of "visionary" when describing the director's work, especially in the time since Prisoner, with releases like Children of Men and Gravity. At the time of his hiring, though, Cuaron was an interesting choice for a fantasy family movie with his most famous movie, Y Tu Mama Tambien, being a racy, foreign language, road trip movie -- not the kind of director you'd immediately hire for Harry Potter. And yet that creative hiring choice made all the difference. Prisoner of Azkahban is not only miles above the previous two films both also help to establish the visual tone of the movies to come. The first thing you'll notice about the movie is how quickly it moves. The film hums along, covering content from the book at a seemingly blistering pace. The story is pared down, focused in a way that the previous films really weren't, with the movie focusing directly on the A-plot of the story without a lot of narrative diversions. It has a fleetness to the storytelling that makes it feel vastly shorter than the previous two films (even though it's only ten minutes shorter in reality). 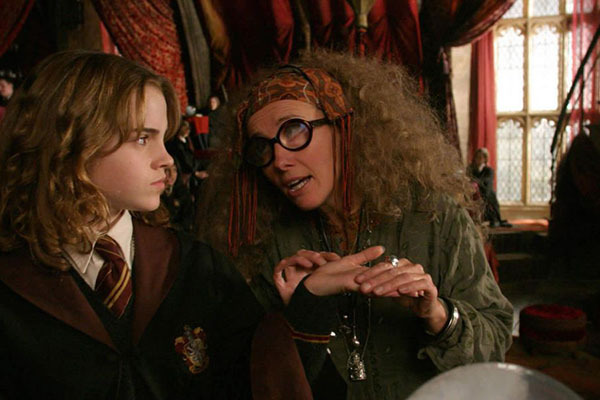 While the film still takes time to establish key details, to let the characters have purpose of scene and time to grow, everything is done (subtly at times) in service of the plot and not just because scenes were in the book so they had to be reproduced in the movie. To be fair, the film gets off to a shaky start, once again forcing us to sit through time with Harry's extended family, the Dursleys, out in the muggle world. This opening section (with Harry causing a nasty aunt to blimp up like a balloon and float away, followed by a fairly stupid, magical bus ride when Harry runs away from home) doesn't really add anything to the movie and honestly could have been excised whole-hog. Do we really need to see the Dursleys again? Do they really add anything to the story our deepen our understanding of Harry? Not in the least. Cutting this section out and just dumping us right onto the opening train ride with Harry (Daniel Radcliffe) and his friends Ron (Rupert Grint) and Hermoine (Emma Watson) and trimmed an easy 15 unnecessary minutes from the movie. I get that it was in the book and book readers probably wanted to see this section reproduced on screen, but this is a movie, not a book. Put stuff like this in an Extended Edition instead. Once we get to the school, though, things quickly begin to pick up. 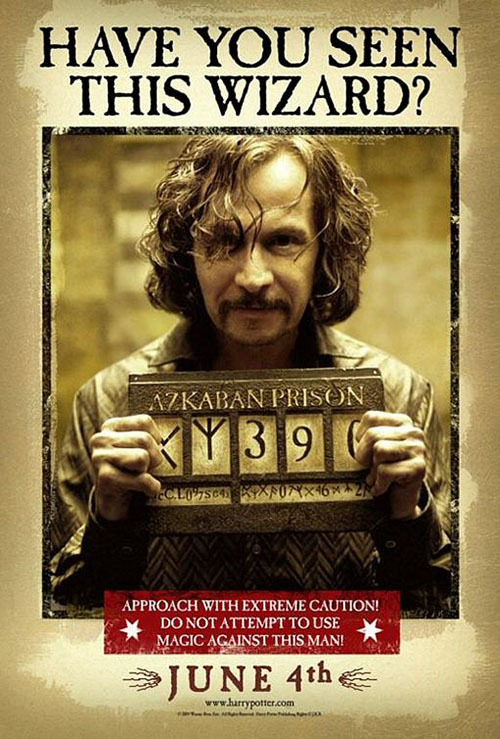 Over the summer, a supposed accomplice of Voldemort, Sirius Black (Gary Oldman), escaped from Azkahban Prison, and apparently he's headed towards Hogwarts, presumably to finish the job Voldemort started and kill Harry Potter. 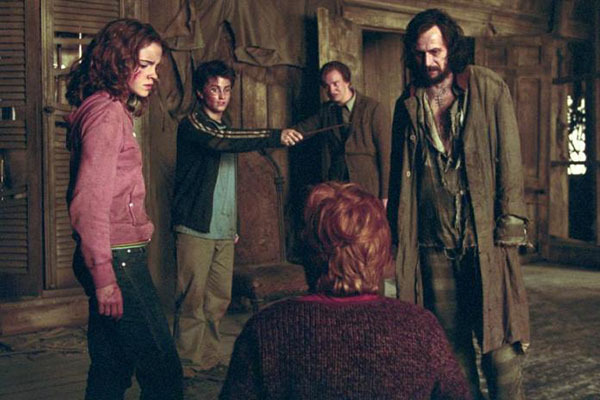 The school goes on high alert while Harry trains to defend himself and take on any dangers Sirius might through his way. 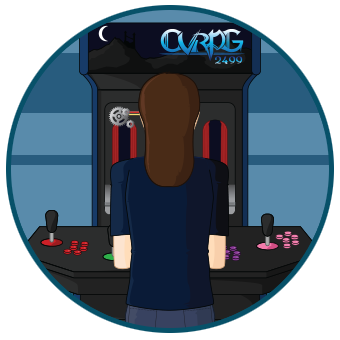 This training comes from new Defense Against the Dark Arts teacher Remus Lupin (David Thewlis), a man with his own dark secrets he doesn't want known. Everything will come to a head with a big confrontation between Harry and friends, Sirius, and Lupin, when secrets will be divulged, the truth will come to light, and everyone will come to a new understanding of what really happened years ago at Hogwarts (and events with Harry's parents and Voldemort afterwards). One thing I really like about this movie is that it explains a lot about the story of Harry, his parents, and Voldemort, but it does it in an organic way. The story is essential to the overall arc of Voldemort, and yet the dark wizard in question doesn't appear in any form in this movie. Instead the film focuses on various agents, those who might for him and those against him. Voldemort is a presence of discussion, but after two movies of directly attempting to thwart the Dark Lord, it's nice to have a movie less concerned with him than with the fallout of human decisions. That's really something to think about: Harry Potter and the Prisoner of Azkahban is one of the more human-focused movies in the series. Sure, there's the occasional fantasy creature (a hyppogriff, some ghosts), but they're tangential to the movie, not the focus. Even the characters that are "fantastic" in nature have human sides to focus on, from the werewolf Lupin, to a couple of changelings (animaguses in the movie's parlance). The focus in on the humanity of the characters, the works they've done, the actions they've taken, and the decisions they've made. That makes this movie about wizards and witches as a school of magic very grounded in a sense of reality. Despite all their magic and spells and charms, it's basic human action that sets the plot in most, and the decisions human characters make that resolve problems. It's an interesting movie from that perspective, and also sets it apart from the movies that came before. This change of focus from movies one and two also means there's a greater emphasis on the characters themselves. We get to learn more about new characters introduced, get their stories in greater detail than we have for any of the one-off characters in the previous films. 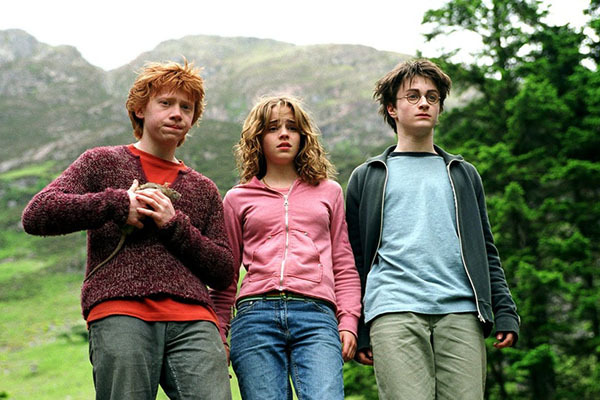 We also get to spend good, quality time with the characters we've grown attached to, especially Harry and his friends. There's a scene early in the film, once everyone is at school, of just the boys hanging out in the room, eating candy and acting dumb. It's a scene that simply establishes friendships between this group of teenage boys, that helps to show these are kids living in the same quarters year after year, becoming close with each other as roommates do. It does a better job of showing that Hogwarts really is a school and not just a setting for Harry to have another adventure. It is, really, a scene that really never occurred in the previous films. But then, this movie is really good at just making us feel like we're really witnessing a year in the life of the students. Little touches show the passing of time, the moving from one season to the next. Previous movies seemed to take place in a timeless unreality where students show up, went around for a week or so of work, and then suddenly the year was over and the students all went home. Hell, the previous movies were terrible at showing the students actually going to class, something Prisoner of Azkahban corrects. I think I saw the characters attend more classes in this one movie than they did in both the previous ones combined. Along with improved sense of reality, Prisoner of Azkahban is also better at handling the fantastic. The movie does a great job of blending in the special effects to the various scenes. Everything is obviously CGI (this movie sadly uses practical effects a lot less than in Chamber of Secrets), but the computer effects don't stand out in a glaring way. They're well crafted effects used to accent scenes and show off a world of magic. Not all the effects are perfect -- the werewolf looks particularly bad -- but I never cringed at them the way I did with the effects in Sorcerer's Stone. Or maybe I just enjoyed the characters enough that I simply didn't care as much if the effects were a touch spotty. I really like the core trio in this film as the three actors have really grown into their characters by this point, putting in better work in the film than even the seasoned professionals playing the professors. I want to single out Watson this time around as I feel like she's grown the most since the first movie. Hermoine went from being a pretty obnoxious character in Sorcerer's Stone to being strong, reliable, and a fully nuanced character, and that's all down to Watson's strong performance. Considering her character gets more to do in this movie (especially in the big last act), she certainly grew to fill the role and carry her action. If anything, I tend to feel like the professors are afterthoughts in this movie compared to the first two. They're there, teaching classes and helping students, but they also aren't the focus as much this time around. That's good, I guess, since the focus should be on Harry and his crew, I just think it's funny that even now, with a great emphasis on classes and time passing, it still feels like the student wander around doing their own thing and school is something that gets in the way of their lives once in a while. Although, really, that's school from the perspective of teenagers. February 6, 2019: I Wanna Be Free!